Bionema Ltd, a leading biopesticide technology developer, has released a new case study video for the control of chafer grubs in turf. The video provides step by step guidelines to greenkeepers, groundsmen and course managers in how to apply the beneficial nematodes (roundworms). Bionema has seen excellent success in recent nematode field trials conducted on the chafer infestation experienced at the Grove Golf Club, Watford. These eco-friendly and chemical free methods of destroying chafer grubs are shaping the biopesticide industry. "We have seen an increase in the success of nematode applications by educating users on correct application techniques" said Dr Minshad Ansari, CEO of Bionema. Bionema’s pest control products are available through Rigby Taylor, a leading distributor to the turf and amenity sector. "Our goal is to see an improvement in nematode efficacy by educating greenkeepers, groundsmen and race course managers in the correct application of beneficial nematodes". The new two-minute video outlines the benefits of training and good application techniques for chafer control in turf, it also explains the importance of product quality, storage and correct handling. As each female chafer beetle can lay 100-300 eggs in June, this treatment involves beneficial nematodes attacking and destroying the larvae of the chafer grubs therefore preventing them from developing further population. We recommend combining the nematode application with the BeetlesAttra chafer monitoring traps for optimum results. Bionema’s NemaTrident® - a range of beneficial nematode products are safe and non-toxic to users and the environment. It is targeted towards specific pests and thus avoids harming beneficial insects. This safe and environmentally friendly method has a 70-100% kill rates and is on average 20-30% more effective than other nematode products on the market. 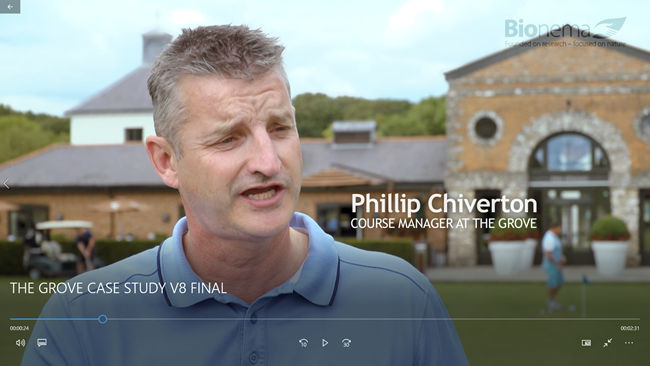 Phillip Chiverton, Course Manager at the Grove, said in the video: “We have seen 80% reduction of chafer grubs in the first year with Bionema’s NemaTrident® solution, with continuous progress in years two and three. The product costs less money than the chemical treatment, it’s more sustainable for the environment and so is a much better way of dealing with this current issue”. Bionema are one of the few organizations that focus on a chemical-free method of crop protection and bio-control. All products that are developed are natural products, which use fungi, bacteria and nematodes to help reduce the use of chemical pesticides as well as offering an effective treatment for regulating chafer grub as well as other common pests. The current problem is so serious, that an emergency summit is to be held with the aim of finding industry-led solutions to the threat of Chafer Grubs and Leatherjackets in the turf industry https://bionema.com/emergency-chafers-and-leatherjackets-summit/. The Summit will take place on 9th May 2019 at Burton Albion Football, Staffordshire. Attendance at this industry summit is vital to those in the industry that want to develop a long-term preventative strategy for Chafers and Leatherjackets. 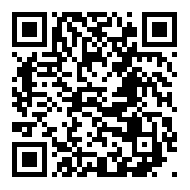 There are a limited number of free places available, which can be reserved by emailing info@bionema.com.